Bought and sold a Single Family home in 2018 for approximately $300K in Universal City, TX. Bought a Single Family home in 2016 for approximately $225K in Park Place, San Antonio, TX. 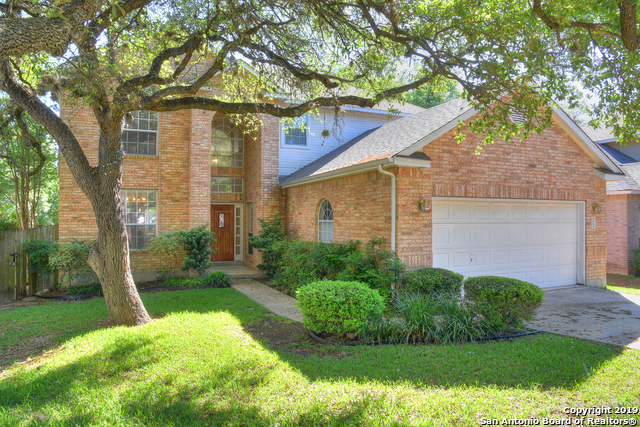 Bought a home in 2014 in North Central Thousand Oaks, San Antonio, TX 78232. May 18, 2017 - Ron & Becky Habermas - We've bought and sold houses in 5 different states. So we know what we're talking about when we say that you went above and beyond what any other realtor has ever done for us, corporate relocation or not. We don't know what we would have done if it wasn't for all the extra time and effort you put into selling our house. You never gave up, no matter what went wrong. You put extra effort into not only keeping us happy but the buyer as well. Your hard work and experience showed. Thank you again!! April 30, 2016 - L. Wilkins - Kellie is not only an excellent Realtor, but she is a GREAT person as well. She takes the time to get to know you and her customer service is exceptional. Kellie you were amazing to work with; keep up the GREAT work! January 31, 2016 - J. Daniels - I would not change a thing, Kellie Sue Daniels was GREAT at working with me and my husband (especially my husband). She still keeps in contact with us. January 30, 2016 - M. Holder - Kellie Sue was excellent, caring, understanding, professional, patient and a true advocate for our wants. Best experience with a realtor. October 12, 2015 - A. Stramanino - Kellie was great. Good analytical approach to market pricing and maximizing the value of the transaction. Very service-oriented. October 2, 2015 - J. Brigance - Kellie was an absolute blessing on this transaction and represents your company amazingly. This was all done from out of state and she never missed a beat from start to finish. A total professional and extremely knowledgeable. Highly recommend her to anyone. She went above and beyond in helping us find our new home. A+++!! July 5, 2015 - A. Balderrama - Kellie is a fantastic sales associate. She was there with us through every step of the way in selling our home and purchasing our new one. She is thorough, attentive to details and a very knowledgeable real estate professional. I would not hesitate to use Kellie again and I will recommend her to all of my family and friends. July 3, 2015 - R. Alvizo - Kellie was great! We were in the market for a new home for over a year. She was so patient with my fiance and I through this whole process. We knew all along what area we really wanted to live however we wanted to keep our options open to other areas, Kellie took the time to show us house all around San Antonio and she was very flexible with working about our schedules. I am so happy wih the guidance, feedback and knowledge Kellie provided us and now I can say we are in a home that is perfect for our family! We would defiantly encourage anyone in the market for a new home to contact Kellie. Kellie comes from a military family. Born in Hawaii, she spent her childhood in Europe and the Midwest. Her family settled in San Antonio in 1974 and she has called San Antonio home ever since. In 1980, she married a San Antonio native and they are raising a teenage daughter. She has served the community and volunteered her time as a Girl Scouts Leader, taught children's church, served on her church's bereavement committee and school hospitality committee. Over the past 9 years, Kellie has gained expert Knowledge of the San Antonio residential Real Estate Market. She has helped hundreds of families and individuals realize their dream of home ownership. She has also helped many other working professionals with buying and selling homes as part of a career relocation or investment opportunity. Kellie believes in customer service and in 'making clients for life". Much of her business is referral based. If you are looking for knowledge, experience, professionalism and personal service in a real estate agent, Kellie has them all. Full time Realtor since obtaining license in 2002. Background in advertising and marketing. Specializes in residential sales, both new and pre-owned throughout the San Antonio Metropolitan area. Education in appraisal, finance, marketing, real estate law and ethics. Active in local church and school communities.